Colorado, the sportsman’s (or sportswoman’s) paradise! Home to beautiful mountains, an abundance of wildlife, and incredible adventures, Winter Park, Colorado, is a quaint little ski town you won’t want to miss. With a base elevation of 9000 feet, the crisp mountain air feels surreal and refreshing, and puts you in the mood for exploring hiking trails, mountain biking, horseback riding, and of course, snow activities! It also helps that Winter Park boasts scenic views on the drive in, and all throughout the area, highlighting all the fall colours aglow. Whether you are here for the first time or the fifth, we promise this alpine adventurer’s paradise will have you coming back for more! If you are into mountain life, outdoor adventures, and bringing the best quality products to a like-minded audience, then Winter Park and Fraser Chamber’s 14th Annual Business Expo is the trade show of the season for you! This year, they have moved to a new, convenient location - Headwaters Central, right off Main St! This whirlwind event will be happening from 4:00 until 6:30 pm on October 17th so hurry and get your membership! To prepare for the coming ski season, The Devil’s Thumb Ranch Resort and Spa, located just 15 minutes from our hotel, is hosting their Grand Nordic Swap event, happening on October 26th. If you find yourself wanting new ski gear, but on a budget, bring in the old and come out with new (to you) gear! There’s free admission too, so make sure to leave lots of room in the car for new goodies! 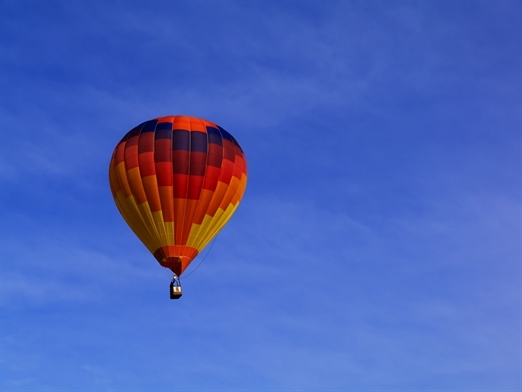 If you’re in the mood for a thrill that’s easy on your sore muscles from the day’s activities, you’ll definitely want to hop onto a Hot Air Balloon! Grand Adventure offers amazing morning ballooning adventures, with up-close-and-personal views of the Rocky Mountains and wildlife, a complimentary champagne toast, launch photo, and more - a perfect way to make any day special. It’s also rated as one of the top ten ballooning adventures in the US according to Fodors, and with a perfect safety record too! Definitely an unforgettable experience! To wrap up the adventure, we highly suggest taking a relaxing soak in our luxury hot tub, planning your next day with our onsite ski and bike rental shop, and catching up on your social channels with our complimentary wifi. We are also proud to say we are ADA-compliant, to provide reliable and accessible services and guest rooms for our differently-abled clients. We hope you choose the best option money can buy at Best Western Alpenglo.